This meat floss is a multi-functional floss equipment.Machine made of high quality stainless steel,in line with food-grade health and safety. 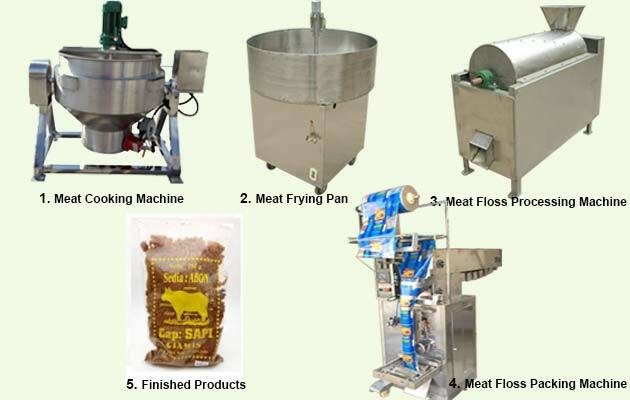 GGDNC-800 type meat floss product line is a multi-functional floss equipment. 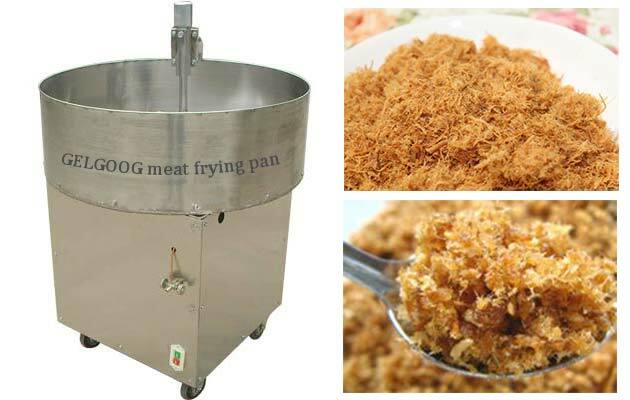 can be used for fryer meat floss machine, cooked meat, crushing machine and meat slicing machine. 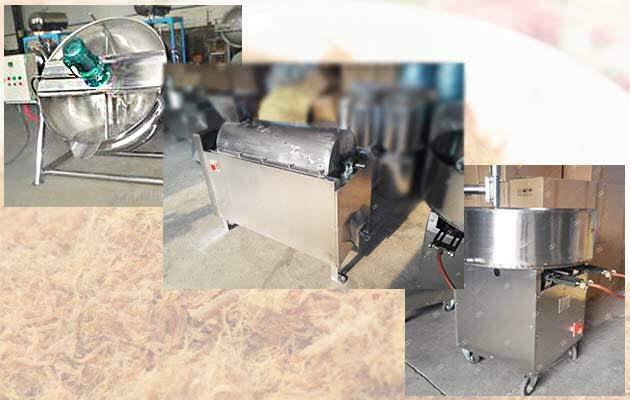 this equipment made of high quality stainless steel, in line with food-grade health and safety. 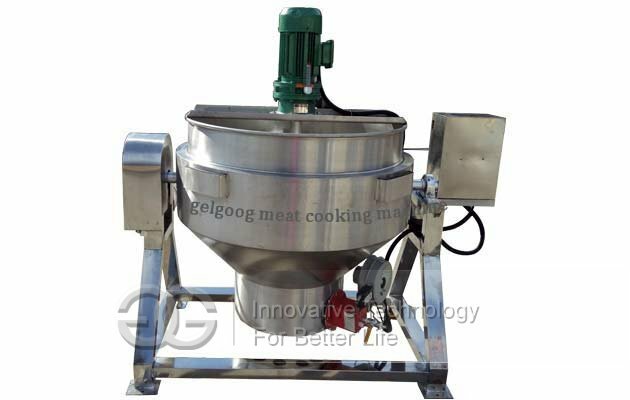 Meat Cooking Machine: this machine uses the heat conduction oil as the heat source, uniform heating and heating temperature easy to control and so on. heating time about 30 minutes. Flat Keel Frying Pan: is driven by the motor to rotate the pot, there are fixed scraper to keep the meat turn in the pot. The advantage of the pan to frying pan is uniform heating, the operating workers in the frying will not collide with the scraper, the material fast and convenient. 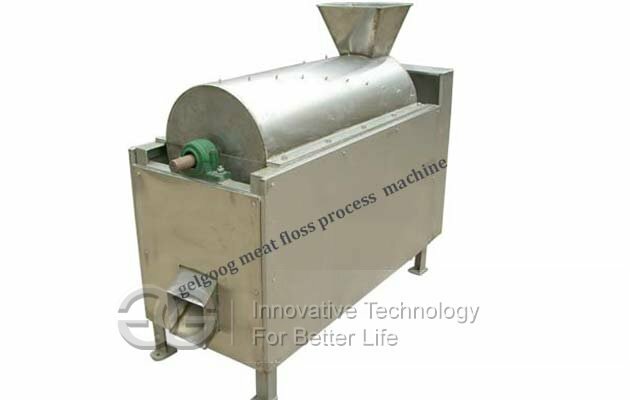 Meat Floss Processing Machines: this floss machine for fish meat, chicken meat, beef meat, pork meat, mushrooms and other meat floss production.